Sometimes life throws us a curve ball with unexpected stress attatched. How wonderful to have someone notice, and jump in to DO something helpful. This is a thank-you card for just such a person. I knew I wanted to use the theme of a lifeline for this card. In fact, there is a hymn that was running through my head as I designed the card ("Throw Out the Lifeline). I still sing it to myself whenever I look at the finished project. Nautical, cruise ship background paper helped with the colour scheme. 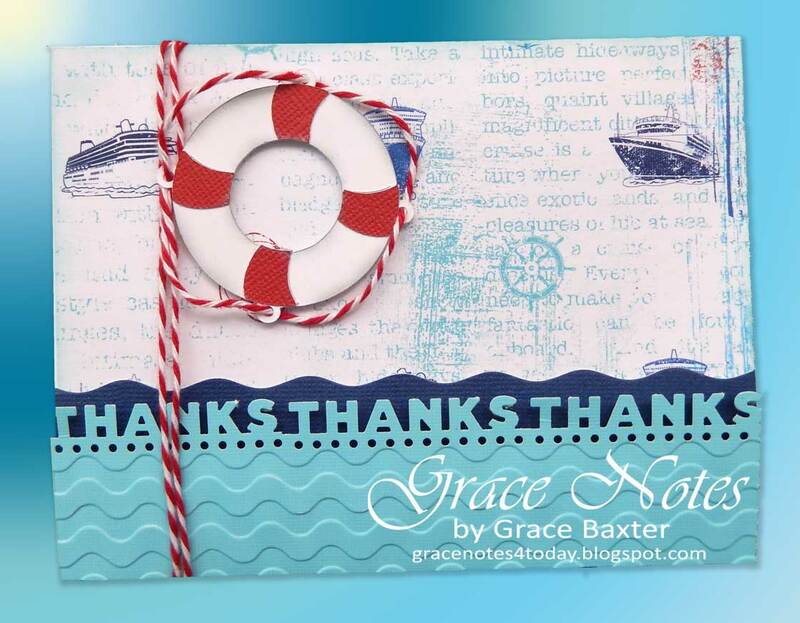 I used my "Thanks" punch along the top edge of aqua. 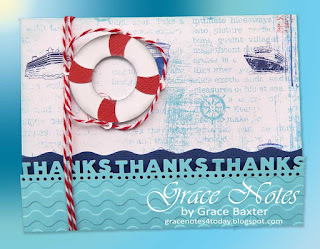 Then embossed below that with an embossing folder that works beautifully for waves. Behind the aqua layer, I placed a navy blue piece with the wave edge done by my cutter. This piece symbolizes dark waters. Lots of pop dots were used for dimension. The lifesaver is what it's all about. It was a bit tricky to thread the red-and-white "rope" through the tiny rings, but it was definitely worth the patience! The lifesaver image is from Life Is A Beach Cricut cartridge. But it could easily be cut using circle punches. 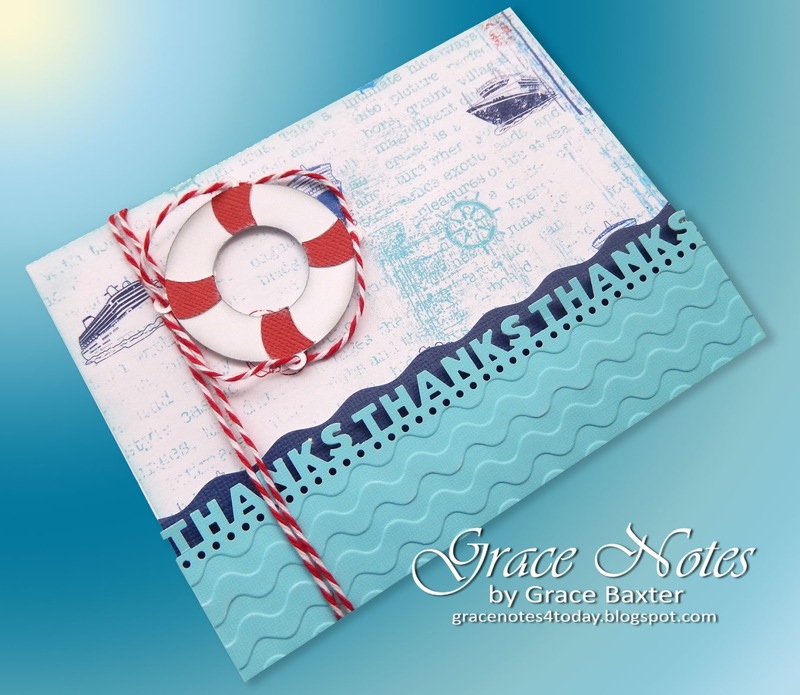 This design could also be used as a bon voyage card.